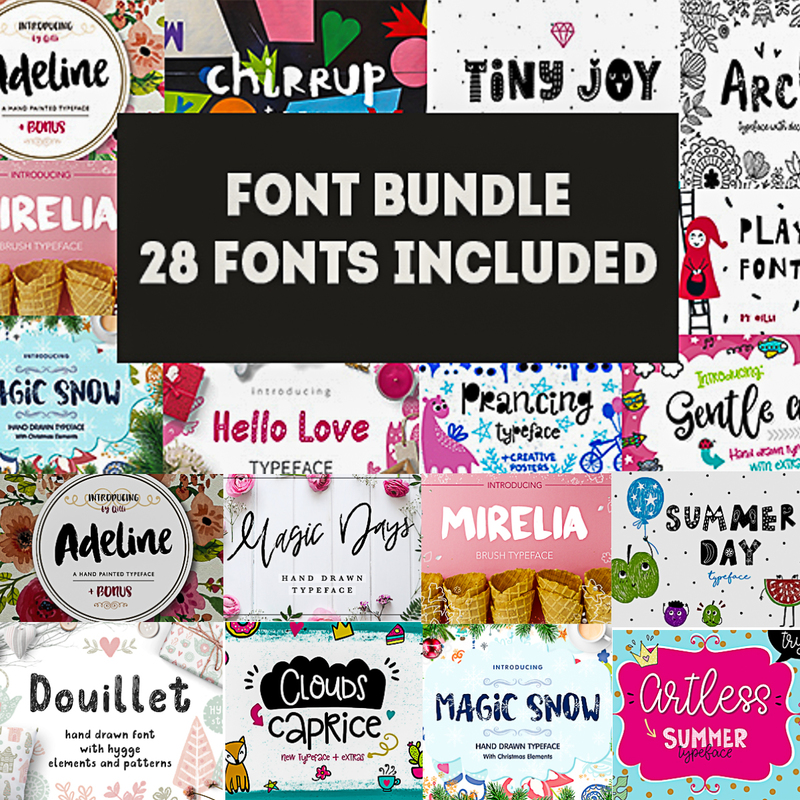 Introducing cool collections of 28 fonts with extras. Perfect for branding, ads, poster printing etc. File format: .png, .eps, .otf, .ttf, .woff for Photoshop or other software. Tags: calligraphy font, cool font, cute font, decorative font, font bundle, font collection, font set, hygge, kid.